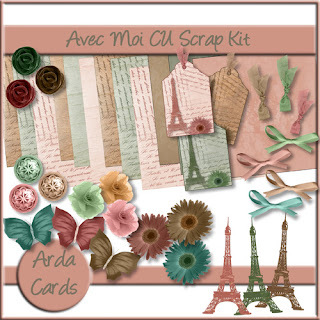 My new scrap kit is inspired by a French Love poem. I had lots of fun really exploring my graphics programs when making this and making full use of layering and transparency effects. I hope you like the results as much as I do. Click on the picture below for the link to purchase. Spring Fling Hits The Shops! !